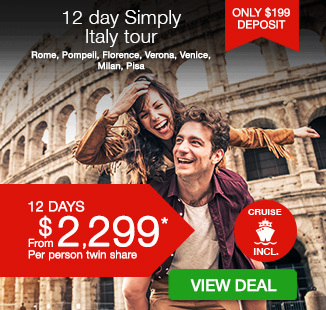 12 day Simply Italy tour with Contiki, including breakfast daily, 11 nights accommodation, escorted tour guide throughout, dedicated, air-conditioned transportation, in-depth sightseeing and more. If you’ve ever wanted to eat pizza and pasta until your hearts content, you’ve come to the right place. Say Ciao to Italy as you embark on this 14 day Simply Italy tour. Hit the streets of Rome and discover the Trevi Fountain and Piazza Navona, before stopping for an espresso or two at one of the local cafes. 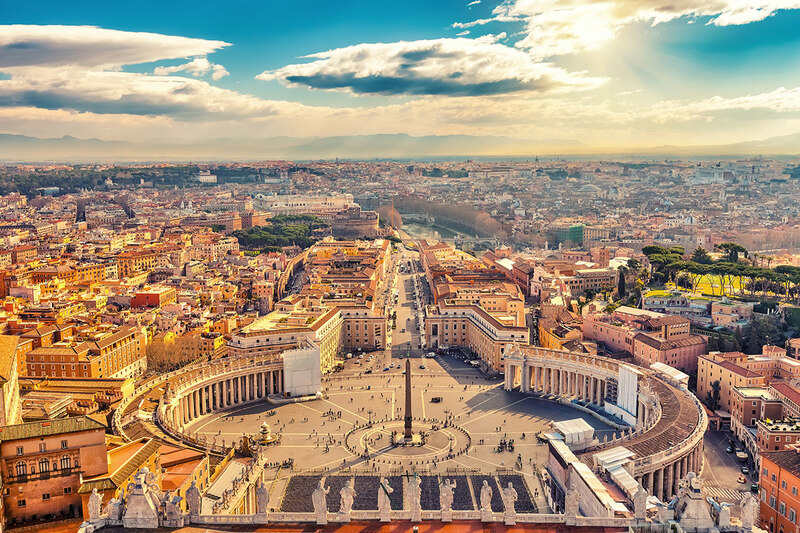 Take a stroll past the Vatican, view the famous painting of two fingers touching in the Sistine Chapel, before heading off to watch the sunset by the seaside in Sorrento. Wander the gorgeous island of Capri and take a whole lot of those Insta worthy pics that we’re sure will make all your followers jealous. Next stop, Pompeii. 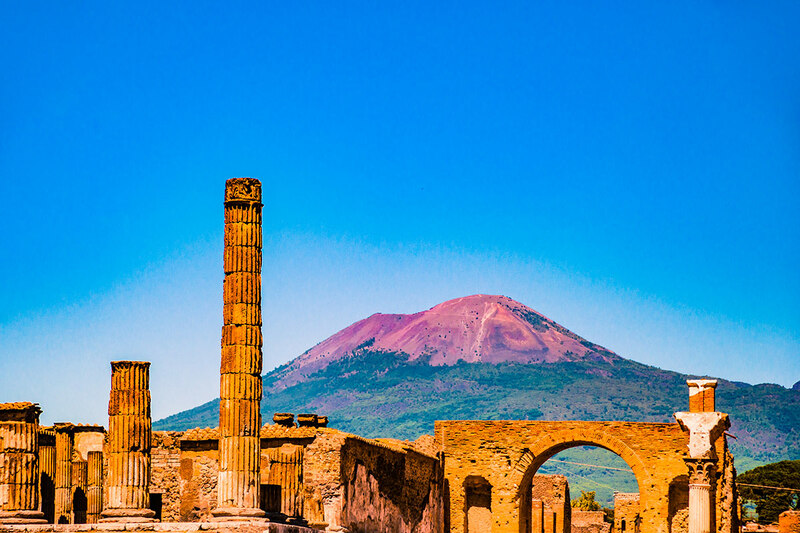 Step back in time to 79AD, and see the site that was destroyed by the eruption of Mt Vesuvius. 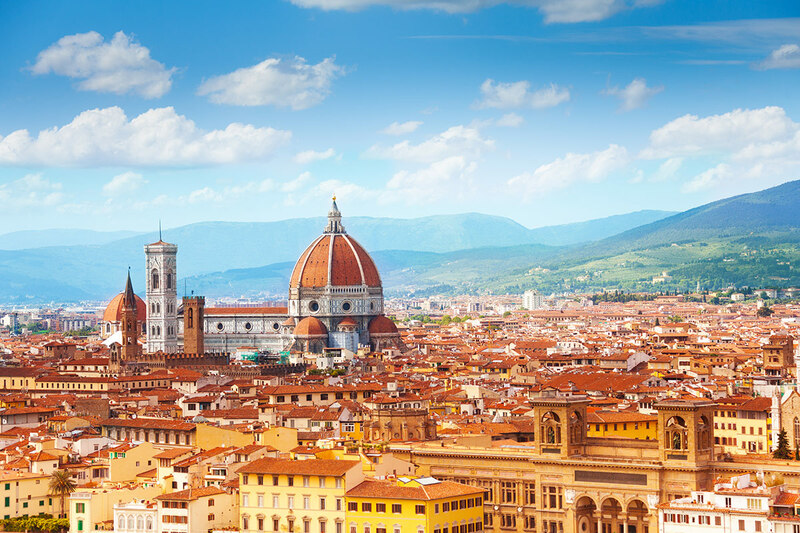 Start your Tuscan love affair in the city of Florence and explore this beautiful place with a gelato in hand. Journey to the romantic town of fair Verona, a place that will have you reciting those famous Romeo and Juliet lines. Cruise through the canals of Venice, before strutting your stuff in the fashion capital of Milan. Fall in love with the glamorous Cinque Terre and end your fabulous tour having a go at perfecting that #AwkwardLean photo in Pisa. Italy – you have our attention! These are the 12 days we’ve been dreaming of since the day we booked. Make your way from the airport and check in to your hotel before the team unites in the afternoon. Putting no delay on the Italian immersion, we’ll hit the streets for some sightseeing, with the Trevi Fountain & Piazza Navona being just two highlights on the list. Vespas, pasta & many espressos, we won’t miss a bit. After last nights sample of Rome, your appetite for all things Italian will be well and truly whet. And you’ll be wildly thankful we’re coming back for mroe of this city at the end of the trip. Before we head off to Sunny Sorrento there’s time to swing by the Popes house and gawk at the magnitude of the Sistine Chapel and St Peters Basilica. 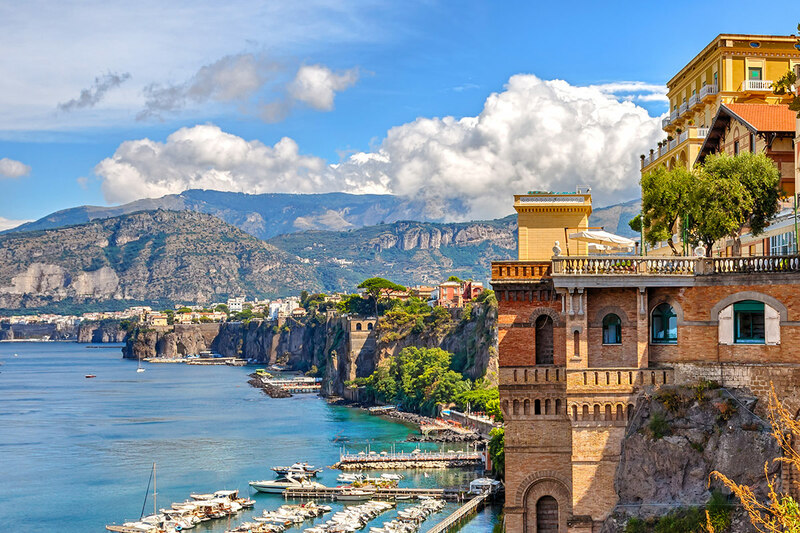 “So, so so so in love with Sorrento” are about the only words you’ll muster up tonight as you sit seaside watching the sunset in this town of beauty. 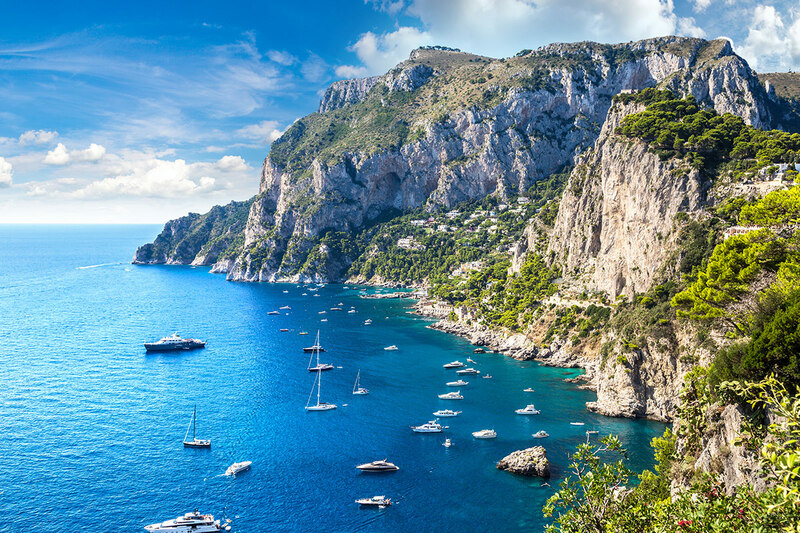 There’s nothing quite like the gorgeous island of Capri and today its soon to be yours. You’ve seen the pictures, now it’s time to get some of your own. The isle of Capri is famous the world over, with travellers drawn to its endless appeal and glamorous lifestyle. Take a walk around the island, or you could opt for a glamorous boat trip to see grotto’s glowing in blue, green and white, ocean caves and dramatic rock formations on a private wooden motorboat. Tonight, full of Italian love, you could opt for a feast overlooking the Bay of Naples, where you’ll indulge in local food and wine to toast the trip. See you, Sorrento! Thanks for making our Instagram feeds look like shoots for Italian Vogue! Once a totally vibing hang-out of the Romans, Pompeii is now an archaeological site showing remains of what was destroyed by a mountain eruption in the year … wait for it…79AD. The saying “stepping back in time” is about to take on a whole new meaning. The famous dome of the Duomo Cathedral sits above the city, making certain we know we have arrived in Florence. Tonight you can continue your Tuscan love affair with a stroll along River Arno & ponder the prettiness of Florence over another vino or two. Explore the city’s markets complete with gelato in hand; marvel at artworks from the likes of legends like Michelangelo; and be impressed by the skillful art of leather at an included demonstration. These are the sorts of activities likely to fill your Florence agenda. From one romantic city to the next, today we’re venturing on to Verona and Venice to find Shakespearean vibes and a city that floats. 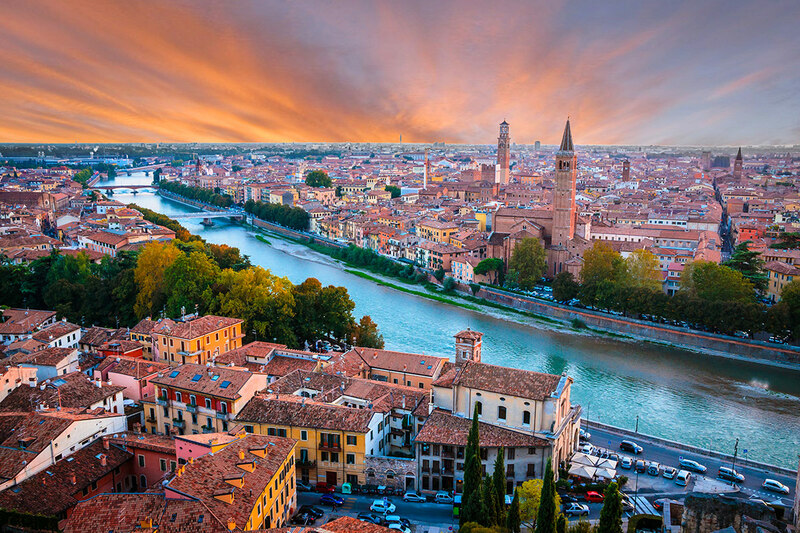 In fair Verona, we’ll be lapping up the city where the story of Romeo & Juliet was set. 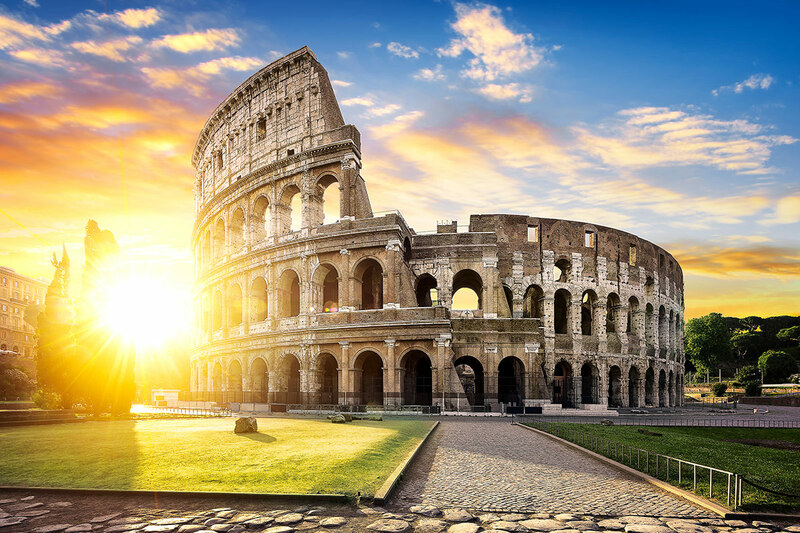 Deemed a UNESCO World Heritage Site thanks to its urban structure and architecture, we’ll absorb it over a stroll past the Roman Arena and find a spot to eat before our next destination. 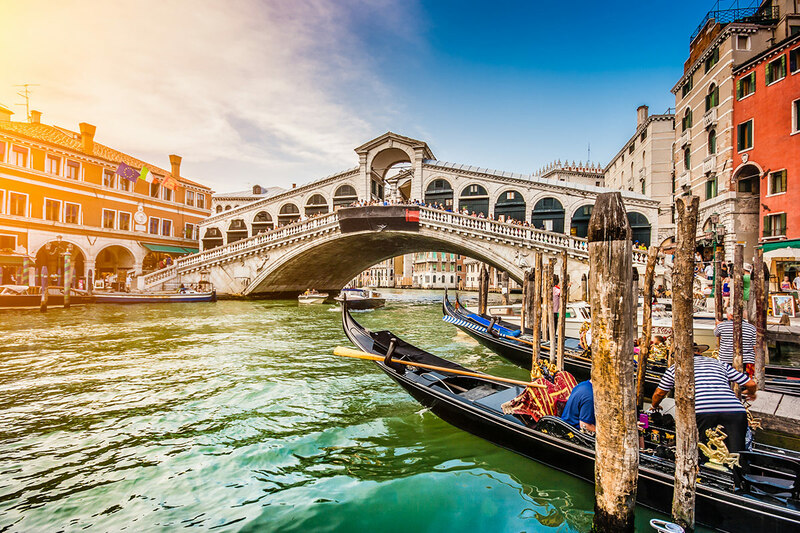 Already in the spirit of Italian history and romance, tonight we’ll land in the nest of Venice, which rivals the beauty of any other body of canals in the world, it’s immensely charming thanks to drifting gondolas. You’ll get the chance to explore this beautiful city tomorrow morning. Today you’re likely to burst out of bed and ready to explore the city. Find hidden lanes & story book bridges, & take our private boat ride through character filled canals. Cruise through the canals of Venice on an optional gondola ride, or opt in for a magical trip to Burano for a Venetian dinner this evening. Now that Venice has charmed us, it’s time to strut our way to Milan for all things fashion & good taste. En route, we’ll stop at Sirmione to gaze upon vine-covered villas, Roman ruins and a fable like castle. 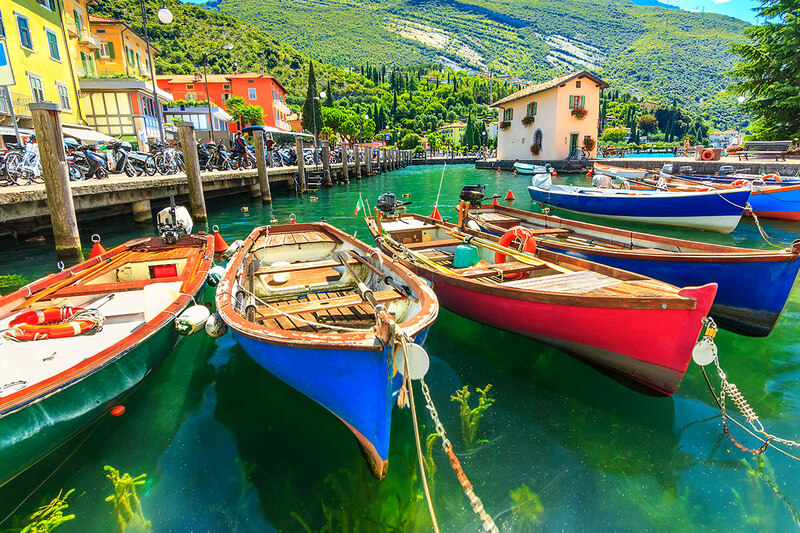 For those keen to get panoramic with the Dolomite Mountain range & suss out lake life, an optional cruise is up for grabs. Here we are in the Capital of Cool. 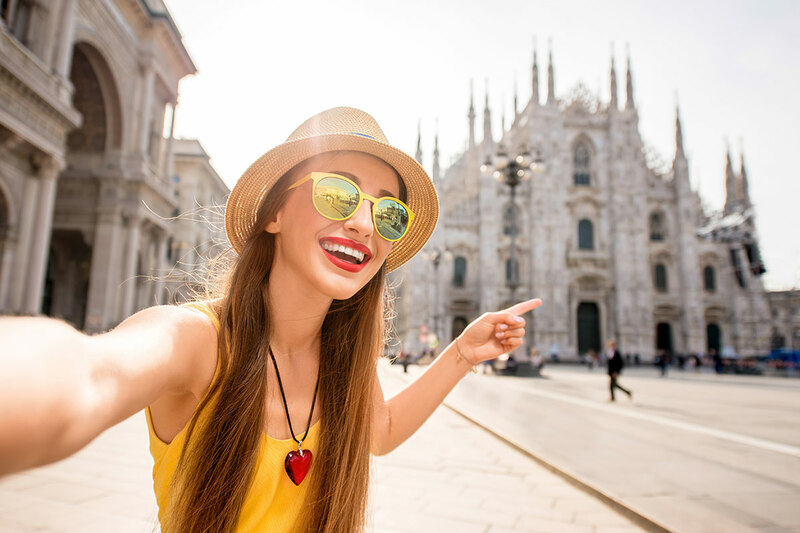 Spend your free afternoon faking fabulous at the glam shopping arcade of Galleria Vittorio Emanuele II. You’ll also need to put La Scala Opera House and Duomo Cathedral on your Milan must-do list. This morning we make an exit from Milan with coastal villages on the mind. Get your camera at the ready and on max charge; this will be a day of pretty. Today is truly one for the bucket list, as we’re in the glamorous Cinque Terre. Today you’ll see this area the right way, by water and land. We’ll head to Monterosso by boat, before train hopping your way back to our base, La Spezia. Walk away from the Italian Riviera with plans to come back here for a few weeks or months, why not? It’s our last leg before we loop back to Rome, and we plan to make the most of it. Which means a final stop in Pisa to ogle at the world’s most famous #AwkwardLean, no less. Endless lines of olive trees & the golden Tuscan sun will have us in a stupor of happiness. And that’s before we’ve pulled up at a 16th century Tuscan winery to explore an old cellar & try a local drop paired with delicious antipasto. 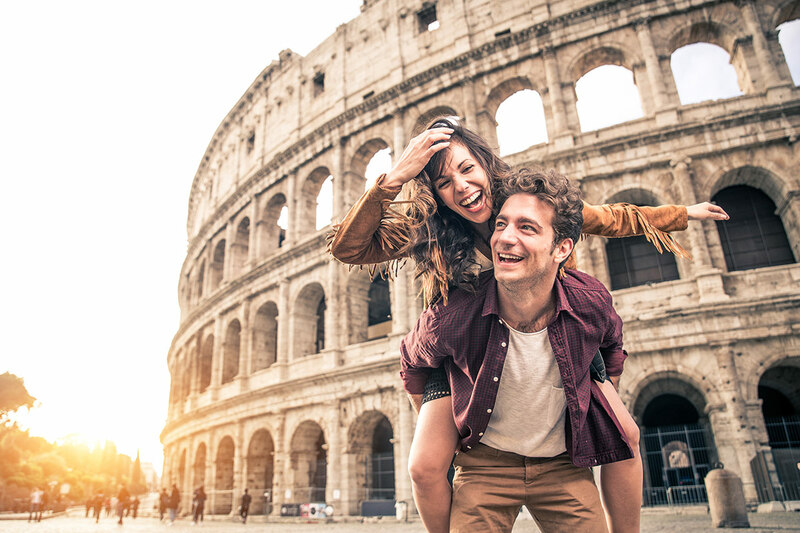 Now that you’re 10-days deep in your Italian odyssey, you will set your eyes upon Rome with heightened love and appreciation for the great country she’s nested in. Get a glimpse of the greats, maybe down some pizza and stroll the streets in la mode of leisure knowing you have all day tomorrow to see the sites. The end might be near, but we’re in no great hurry to start winding down the adventure. As it’s our last night on our trip, an optional dinner has been organised in a Roman restaurant complete with an opera singer, live music and pasta. We like to end things on a high note – no opera pun intended. Free time add on (additional cost applies): Rome of the Emperors and Gladiators including Colosseum. That’s a wrap! Our Italian love affair has officially come to a close but will carry on filling our thoughts way into the future. Particularly when we’re back in the real world dreaming of the good life on tour. That’s a wrap! Our Italian love affair has officially come to a close but will carry on filling our thoughts way into the future. Particularly when we’re back in the real world dreaming of the good life on tour. Make your way to the airport for your homeward flight. Excludes: Flights (must purchase flight inclusive package), Travel insurance, Visas, Personal expenses, Anything not mentioned or “optional” or “own account” in the itinerary. Group Sizes: 35 -52 travellers max. You’ll be snoozing in twin share rooms in homely Italian hotels. if you prefer to sleep alone you can splash a bit more cash on a single share upgrade.